If you are out in the market to buy a new smartphone, drifting through aisles of an electronics store, you might get confused by all the technical jargon flashing before your eyes. A smartphone, in my opinion, should just be classified as a human organ at this point. Buying a new smartphone is like finding a life partner, well almost. So by extension, understanding smartphone specifications, is the dating period and boy is it important! Let’s cut to the chase and begin by answering some of the most common questions you might have. How much RAM do I realistically need for lag free use? You can never go wrong with a higher number on this one. If you have to decide between two phones where one of them has a higher RAM than the other, you should almost always go with the one that has more RAM. However, this selection becomes slightly complicated when comparing phones with different processors and when comparing the iPhone with an Android phone. In the former case, you have to take the processor into consideration. Newer processors are generally better at executing tasks faster, reducing power usage and ensuring a smoother overall performance. So what role does the RAM play in a smartphone? When you use multiple apps, your processor needs data to be readily available for faster processing. The RAM holds data that the processor is going to require for faster in-app performance. It also holds data that would allow faster switching between apps. As a traditional user, I use my phone for at least two years before buying a new one. So I consider the fact that apps and operating systems get memory intensive over time. Hence, it is always a good idea to have a larger RAM. Should I be looking into Processor (Chipset) types? As mentioned above, yes. Processors are the central working part of a smartphone. With a better processor, you get a lot more than processing power under the hood. A better processor usually manages tasks better, has faster communication standards and is equipped to be ready for the influx of future applications. For example, the Snapdragon 845 can capture 4k video at 60fps. Its predecessor, the Snapdragon 835, shares a lot of similar numbers with the 845. However, the 835 SoC can capture 4k video at only 30fps. There are several other small changes that you might not notice without the detailed spec sheets of the processors. In summary, with each generation of advancement in the chipset technology, there are subtle changes that affect usage and ensures the longevity of your device. Is the Screen Resolution an important smartphone specification to understand? If you are into immersive, crystal clear displays then yeah! The resolution of a screen is essentially the total number of pixels that can be displayed. Any resolution above 720px is HD. Any resolution above 1080px is full HD. Quite a lot of high-end smartphones also offer 2k and 4k resolutions. The resolution, however, is although a double-edged sword. With a higher number of pixels, the power required to light them up also increases. This causes a bigger drain on the smartphone’s battery. How to choose a smartphone with the best camera specs? The camera is arguably one of the most used and most important features of a smartphone. Let’s start with the most marketed aspect, the megapixels. Just like resolution, the megapixels of a camera indicates the number of pixels that it can divide the scene it is capturing into. If this number is high you get a highly detailed image, where you can zoom in and a lot of detail would still be present. Think of taking a picture of a newspaper. If you zoom in, the letters eventually start to get blurry. This can be minimized by a camera with a higher pixel count. However, megapixels indicate only the resolution of the image. The actual quality of the image depends on factors like aperture and lens quality. Look out for the f-stop number. It is in the format of an f/ followed by a number. The number is important. A smaller f-stop means that the smartphone can capture photos with a higher degree of blur in the background of the subject. A small f-stop also means that the camera can perform well under low light conditions. Apparently, smartphones have a bunch of sensors, does that affect my day-to-day usage? Of course! Sensors are what make smartphones do really fancy tasks like measuring your blood pressure. All major brands like Apple, Samsung, LG etc. are known to push the boundaries of the sensors that can be embedded in a mobile device. Let’s take a look at the most common sensors that are found in all smartphones. We will also understand how these sensors translate their data into usable functionality. These two sensors are used to track the movement of the phone. Wonder how your phone tracks the number of steps you took in a day? It does that using the accelerometer. Wonder how your phone knows to switch to landscape display when you rotate it? It does that using the gyroscope. This sensor is used to sense pressure levels in an area. It is generally used to track altitude changes and improve GPS accuracy. This sensor is used to detect ambient light. It is used to automatically adjust your screen’s brightness. This sensor is used to gauge proximity. Basically, when you place your phone on your ear after dialing, this sensor turns the screen off to stop unwanted touch gestures. Smartphones generally have one of two fingerprint detecting technologies. A capacitive fingerprint sensor is a highly sensitive sensor that detects the ridges in the user’s fingers. The sensor performs this identification using capacitors that respond to the electrical imbalance created by a ridge. A second technology that can be opted for is using optical scanners. As the name suggests, optical scanners basically take pictures of the finger and every time an attempt to unlock is made, the current image is cross-referenced with the stored images and access is granted. The magnetic sensor (an integrated circuit called Hall IC) is used to detect magnetic fields, obviously. It enables the smartphone to be used with a magnetic flip cover and process wireless payments. The heart rate monitor uses flashes of LED to detect blood pumping through a finger. Based on the variations in the light reflections the heart rate monitor will detect the heart rate in beats per minute. If you have a Samsung phone you can check the status of these sensors by dialing *#0*#. Should I really be concerned with the battery size on my next smartphone? A bigger battery naturally increases the size and weight of the phone. In addition to that, it also increases the time your phone takes to charge from 0 to 100. However, manufacturers have devised techniques that increase the power that can be absorbed by a phone’s battery to significantly improve charging times. What is fast charging and do I need it? Fast charging is a concept that allows you to charge your phones up to a certain level at ridiculously high speeds. Here’s what you need to know as a consumer. The charging capability of your phone depends on the accepted wattage of the phone’s battery (i.e the power in Watts) and the output capability of the charger. You can get fast charging with a charger that outputs more than 15/20W. But you also need the right accessories for fast charging to work. Terms like Qualcomm’s QuickCharge and OnePlus’ TurboCharge are not just marketing gimmicks. They are actually technologies that allow your phone to accept higher wattage. So look out for these terms. 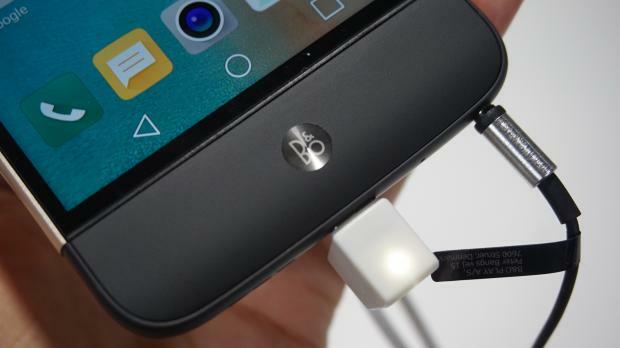 Qualcomm’s QuickCharge is known for including their technology in the battery of the phone as well as the charging adapter. So your phone get’s slightly heated while charging. OnePlus, on the other hand, have included their tech in just the adapter, so the adapter, in lieu of your phone, gets hot and bears the brunt of the extra wattage. Which SD or memory card should I buy for my phone? Most phones on the market have an option to boost their storage spaces by storing data on external SD cards. If you are in the market for one, you should know that there are many types of SD cards and the choice you make can affect your smartphone experience drastically. SD cards are divided into classes and subclasses based on their read-write speeds. These are usually marketed with their read speeds displayed on the package. But though read speed is important too, it’s the write speed that you should be paying attention to. How does an SD card affect my smartphone usage? When you are using your phone to record videos in 4k or to take a burst of images, the size of the data being generated every second is a lot. This data needs to be stored somewhere right away. If your memory card’s write speed cannot match the rate at which the data is being generated, the data stored in the buffer memory will take time to be transferred to the memory card. This also causes a reduction in the quality of the footage. The same problem arises with data-intensive apps stored on the memory card. If your Whatsapp has a lot of uncleared chats and it is stored on a cheap and slow memory card, you can expect the app to crash or delay on startup. A simple solution to take care of all your memory card woes is to get a class UHS-3 memory card. Don’t ever think of getting a memory card less than class 10. This article has more information that will help you understand all the types of SD cards that you can buy. Do I really need a GPU in my smartphone? The GPU is an extra computing unit that works in tandem with the CPU and takes some of the load from the CPU. It processes video and graphics to give a lag-free high-quality display. With the ever-increasing availability of applications and games that use Augmented Reality or Virtual Reality, GPUs in smartphones are becoming the norm and are here to stay. What’s the deal with the new Bluetooth standard? Like all communication standards, Bluetooth has evolved to be more stable, faster and increased energy efficiency over time. The current generation of Bluetooth, 5.0, enables higher transfer speeds, low power consumption and increased range. This means you can now use Bluetooth without having to worry about draining your battery and over longer distances. Additionally, you can now stream unique audio over two different Bluetooth devices from the same source. However, to use these features all your devices should be compatible with Bluetooth 5.0. This means that if your smartphone supports the 5.0 communication protocol, but your smartwatch or your headphones don’t, you will be using the older Bluetooth versions available on those devices. 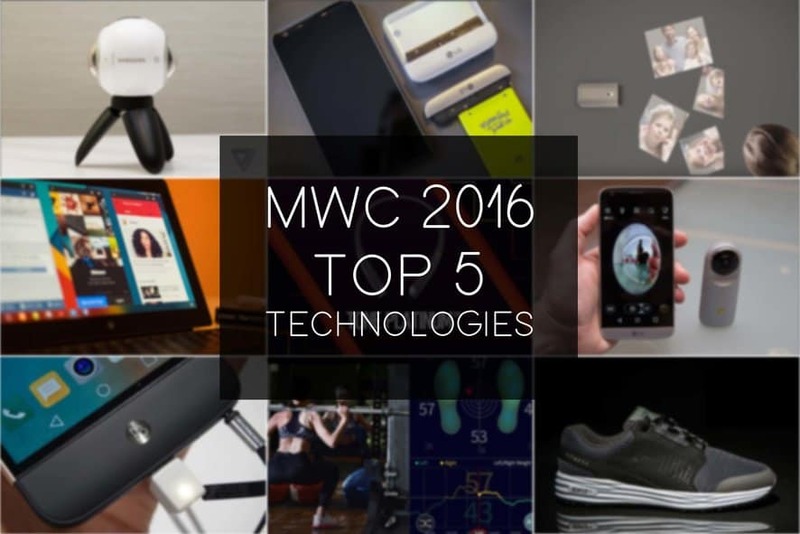 Here is our pick of the top 5 technologies showcased at the MWC this year. Check out the technology of the future! Fingerprint technology is a relic of the past. 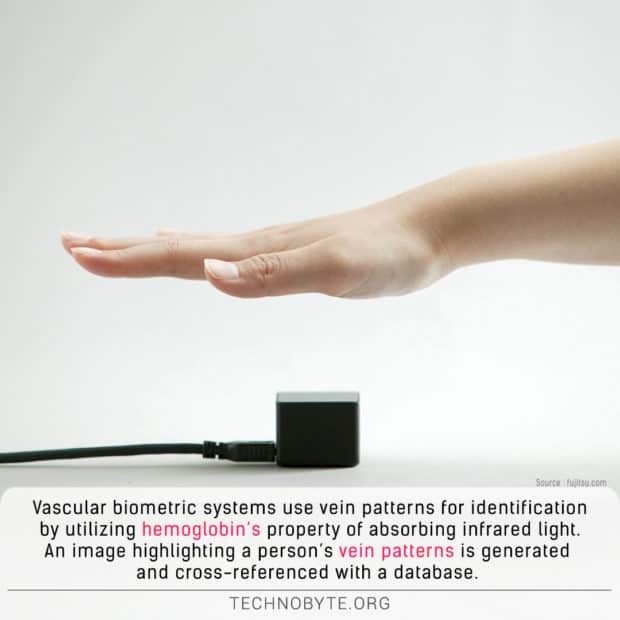 New security systems are preferring Vascular biometrics over fingerprint technology. 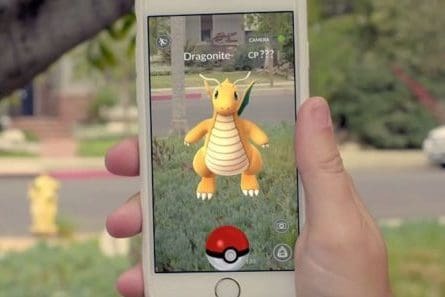 Pokemon Go is disrupting the gaming ecosystem and we decipher the reason behind it’s rise to popularity and what it means for Augmented Reality.